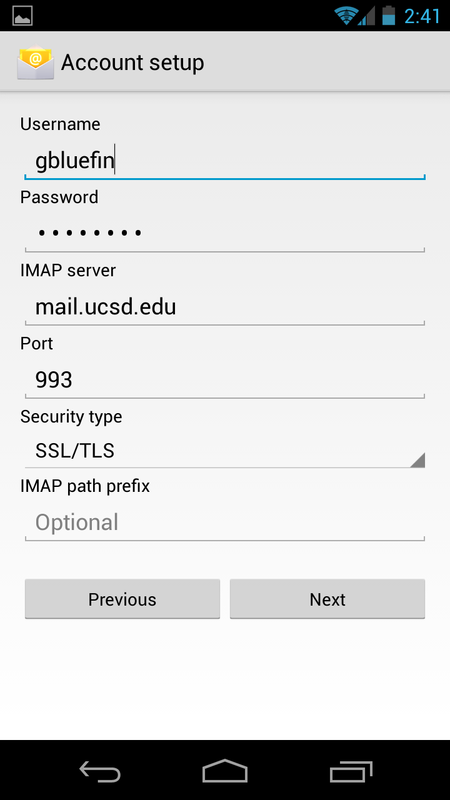 Follow these steps to set up Android 4.x to access your UCSD Exchange email account using Internet Message Access Protocol (IMAP). 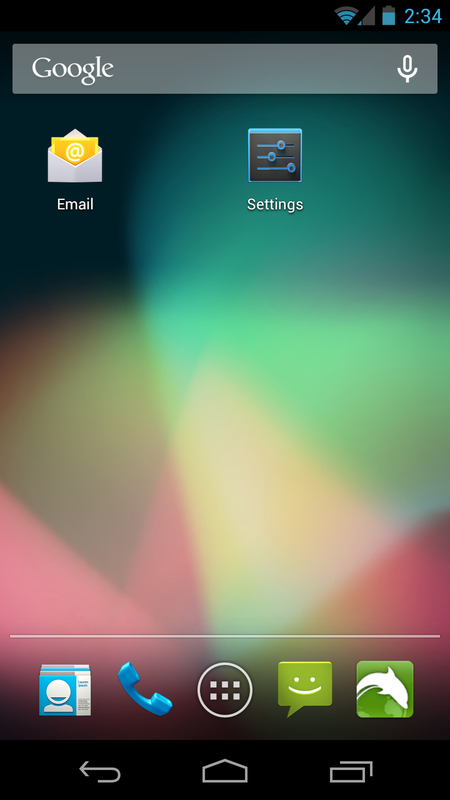 Select Email from the main Android window or Applications drawer. 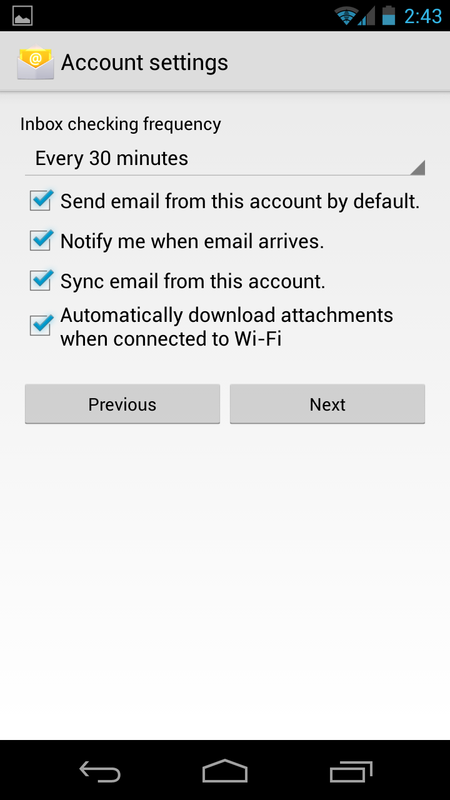 Click IMAP account for type of account. Port: Verity the number changes to 993 after selecting Security Type above. 4. 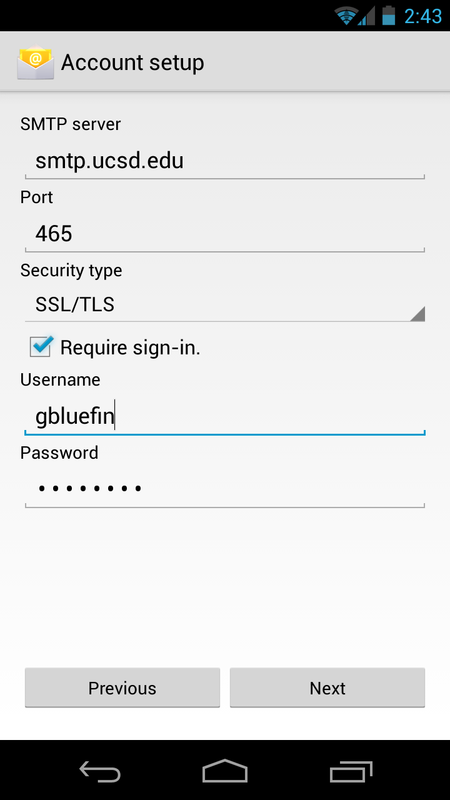 Configure your outgoing server settings. Port: Verity the number changes to 465 after selecting Security Type above. Username: Enter your Active Directory (AD) username. 5. 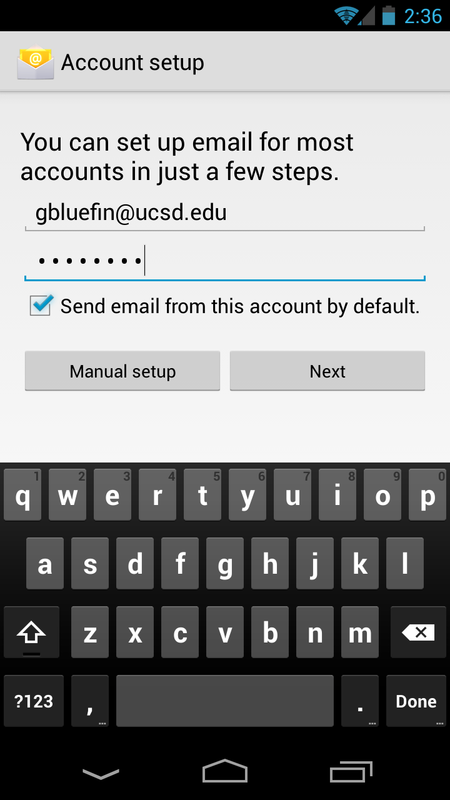 Configure your account options. Email checking frequency: Every 30 minutes (recommended).